Civic debate isn’t the only democratic process on display in Hempstead today. Several hours before the start of the debate, various activist groups gathered across from the main entrance of Hofstra University to exercise their First Amendment rights. 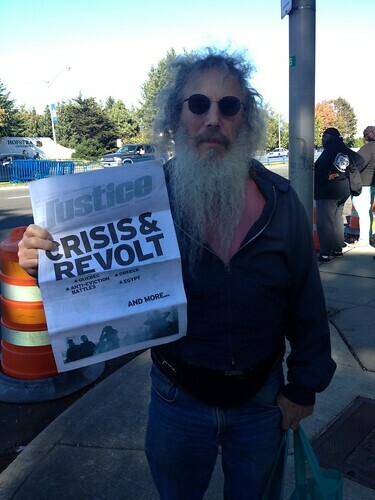 Representatives from various activist groups, including PETA and the Socialist Alternative, gathered on the corner of Hempstead Turnpike and California Avenue. 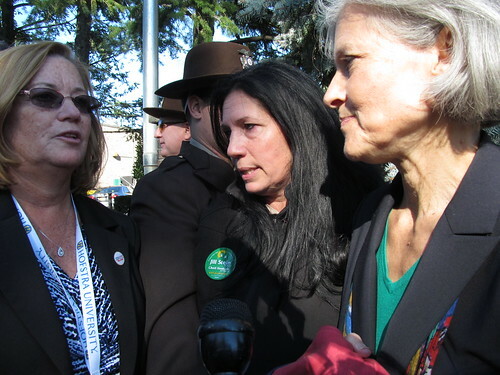 After gathering alongside the other groups, Jill Stein, a Green Party candidate for president, along with her running mate Cheri Honkala, attempted to gain access to the debate hall. 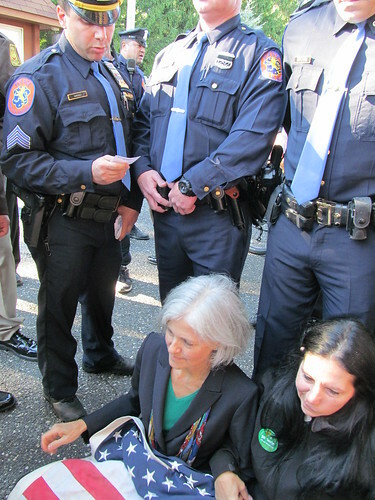 Stein was denied entrance to the campus by Hofstra representatives because she did not have credentials. Eventually police barricaded the entrance. Bob Commike, member of Socialist Alternative, shared this sentiment. After trying unsuccessfully to gain access to the campus for some 20 minutes, Stein and Honkala sat down on the street in front of the university and draped an American flag over their laps. Several minutes later, a Nassau County police officer informed Stein and Honkala if they did not move, they would be arrested. The two protestors refused to move, and they were eventually led away by both county and campus police officers.